I’m not bragging, but I jumped on to the kale bandwagon long before the wagon rolled out of hipster neighborhoods and restaurants, serving kale chips and kale smoothies along the way. I may have jumped off other superfood bandwagons–mangosteen: that was fun while it lasted in the early 2000’s but açai berries won over my heart and tummy–but I plan on never abandoning you, kale, even if you do eventually lose hipster cred status. If you’re wondering about what’s in kale that makes it so healthy, I’ll get to that in a second. 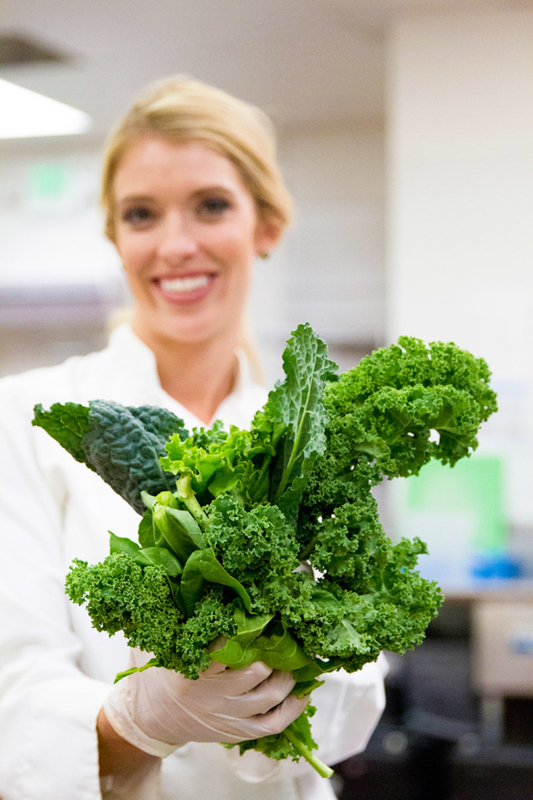 First, though, if you’ve never visited my website, allow me to briefly introduce myself and tell you why my husband, Brandon, calls me the “Queen of Kale.” You see, years ago, I earned a certified nutritional therapist credential. I also became a private chef. 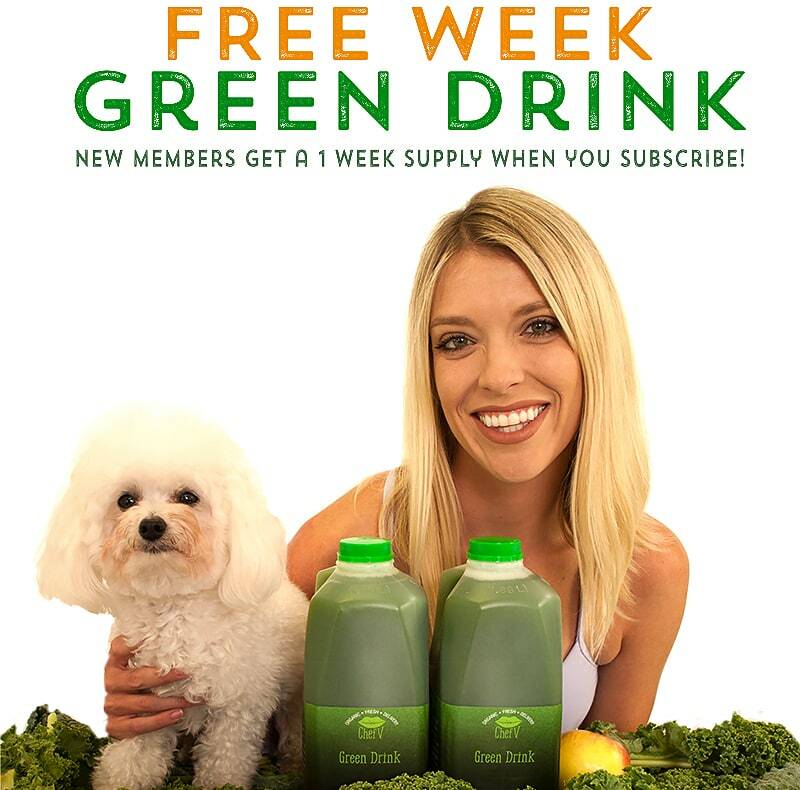 Soon after launching my career as a chef, I created a recipe for an Organic Green Drink, featuring seven leafy green veggies with not one, but two varieties of kale. 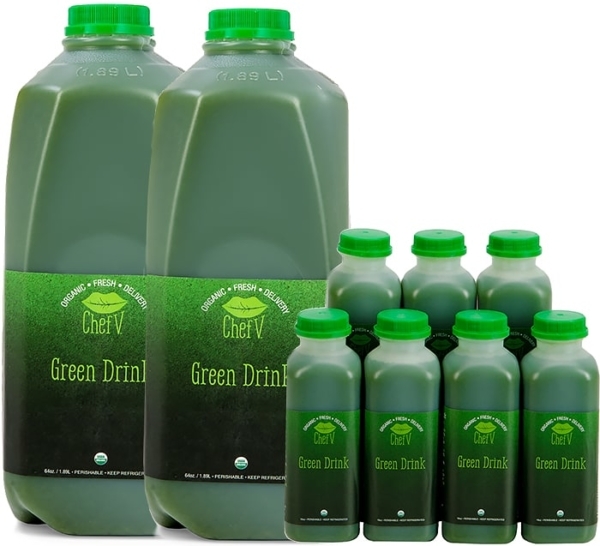 My Green Drink became so popular that I created a business delivering organic green drinks with kale all over the country. 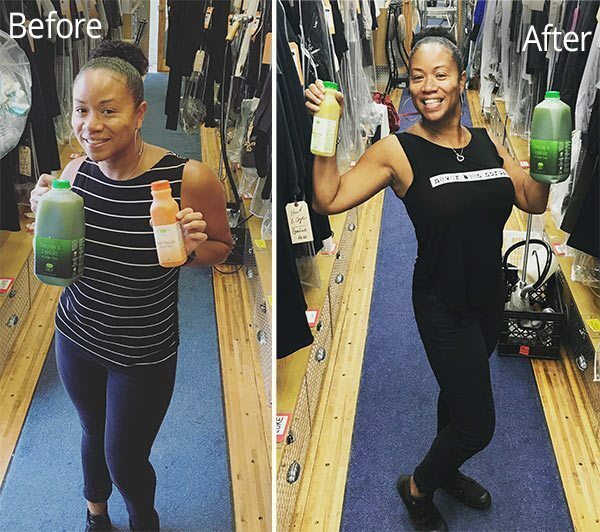 This business–CHEF V–has evolved into a nationwide leader of shipped veggie juice and cleanse products. Sure, it took hard work to build what was once a small clientele into a customer list of thousands. 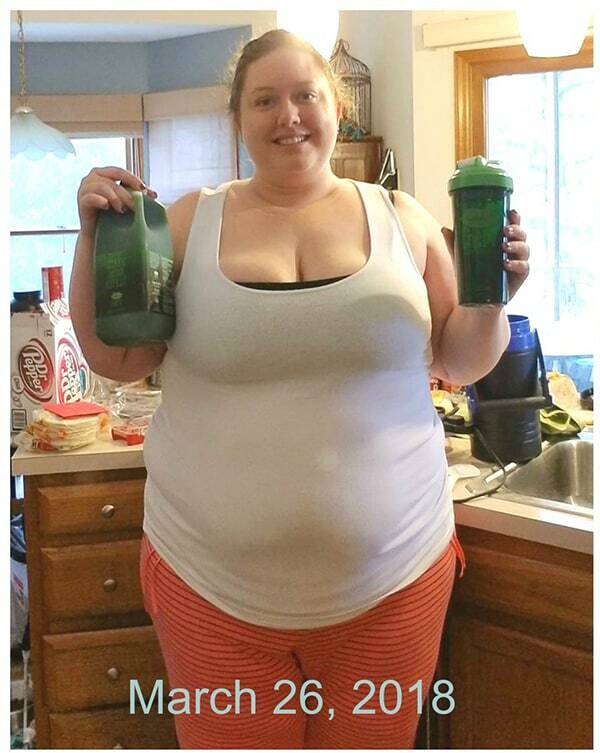 But this success story isn’t about me; it’s all about kale playing a huge part in the amazing health transformations of thousands of CHEF V customers. 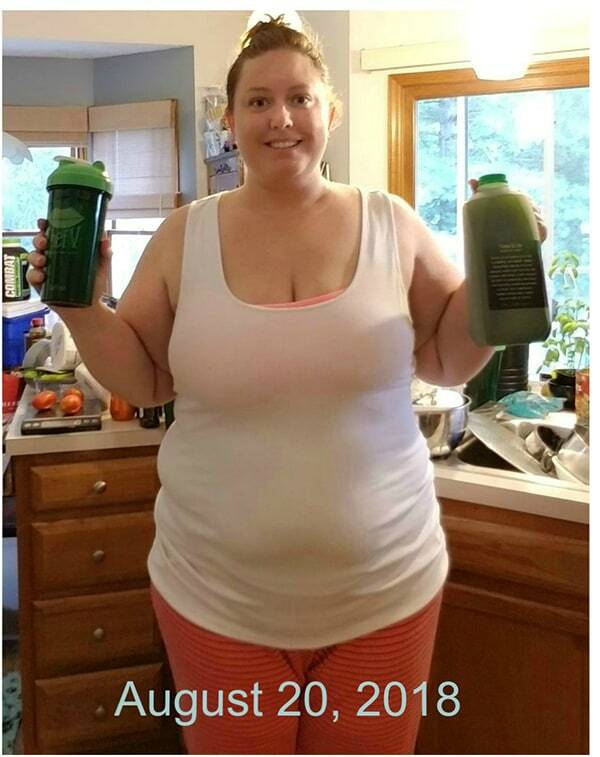 As I mentioned above, my certified-organic Green Drink has two types of kale: black and green. Black and green aren’t the only types of kale. In fact, there are three main types and within each type there’s different varieties. For instance, the green kale I use is commonly known as curly kale. 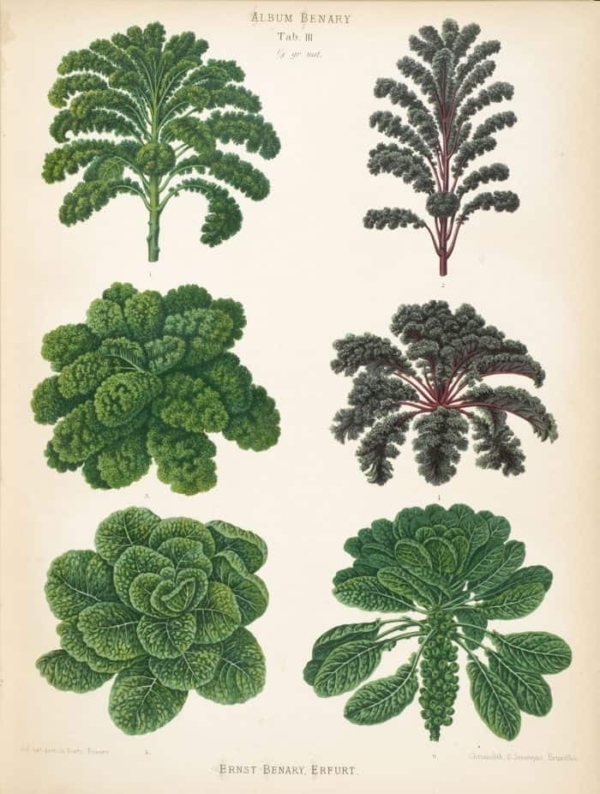 As for the black kale, its leaves actually have more of a bluish-green tint. 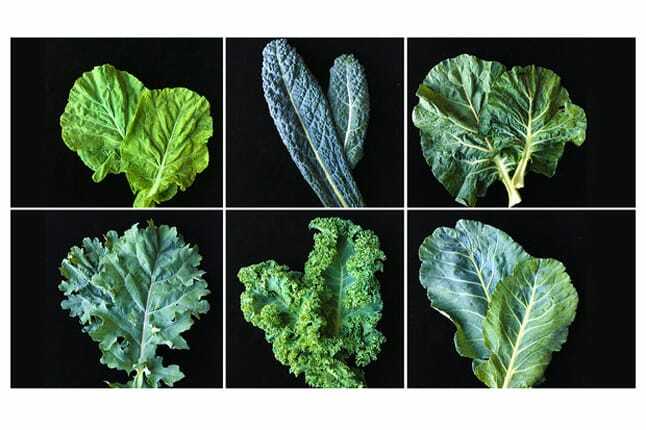 You may hear black kale referred to as either Tuscan, dinosaur, or Lacinato. Green kale is the one you’ll most likely find at the supermarket. For CHEF V Green Drinks, I source all the kale for 100% organic certified local farms. But wait! There’s more kale to try. There’s also Gulag Stars, Dwarf Blue Vates, Red Nagoya, Chinese Kale, and Sea Kale. If variety is the spice of life, then go get your kale on and try different types. But let’s get back to focusing on the health benefits of kale. Why do so many medical experts consider it an important part of a healthy diet? 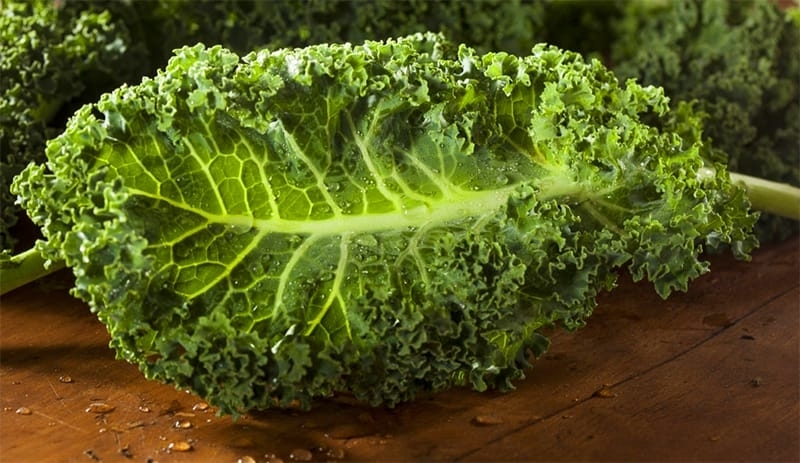 Researchers are still learning more about the natural compounds in kale and other leafy greenies. I’ll admit though that eating raw kale everyday would be a drag. That’s why my mission of improving the health of thousands of people in the easiest way possible was born. 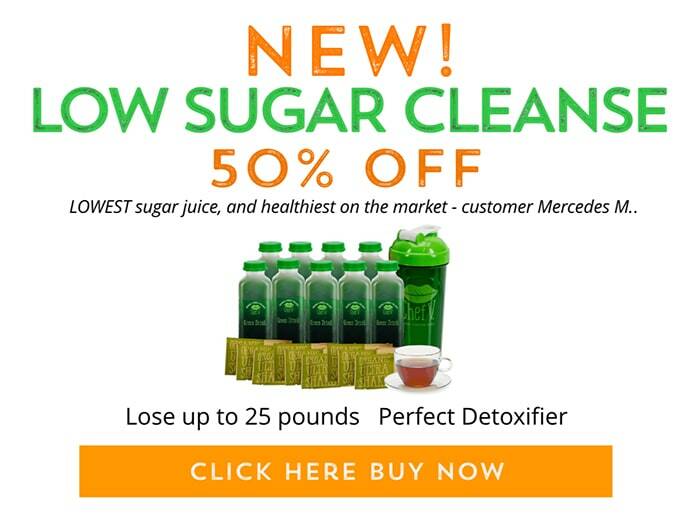 My Green Drinks are cold-blended to preserve the fiber and nutrients. There’s no easier way of consuming leafy greens than by getting on a Green Drink subscription and having a serving each morning. Don’t take my word for it though…. Just going to keep swimming.